GAINESVILLE, Fla. — Whale sharks may be the world’s largest fish, but the body of scientific knowledge surrounding them is surprisingly small. Now, a University of Florida expert says tourists armed with cameras may be a new source of data about the gentle giants, often seen in the Gulf of Mexico. Photographs could help scientists gauge the shark’s abundance and shed light on its longevity, migratory patterns, breeding habits and other information needed for conservation efforts. A study published in the current issue of the journal Wildlife Research examined whale shark photographs and video still images posted online by vacationers on diving or sightseeing excursions who had seen the creatures. The researchers concluded that the material was often suitable for use in scientific studies that identify and track individual whale sharks. Whale sharks can be individually identified because each one has a unique pattern of spots and lines on its back, giving the creature a visual signature akin to a fingerprint, Struve said. And, unlike many large marine species, whale sharks often swim close to the surface, making them accessible to photographers. In certain areas, large congregations of whale sharks appear annually, and tourism industries have sprung up to help people get close to the fish, which can reach a maximum length of more than 40 feet and a weight of more than 45,000 pounds. 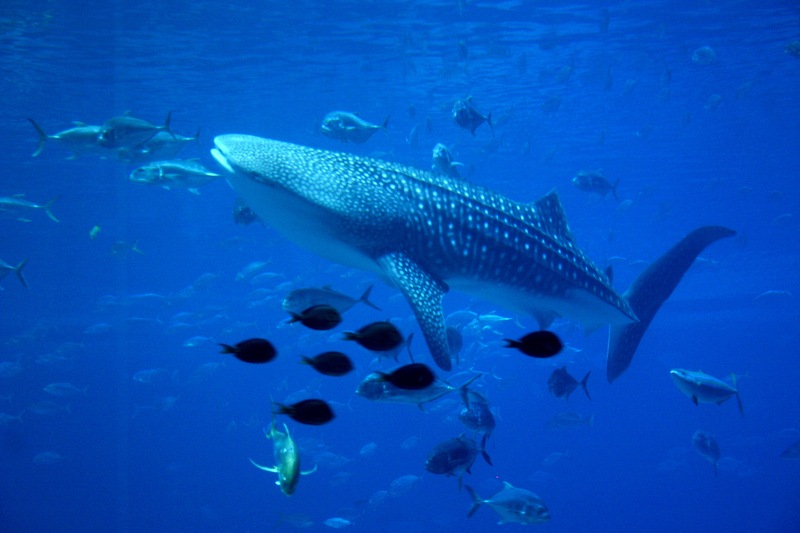 Worldwide, there are believed to be about 100,000 whale sharks, which eat plankton and pose no threat to man. Though not classified as endangered, whale sharks are killed for their meat and fins, and sometimes die after being accidentally caught in tuna nets. This entry was posted on February 21, 2013 by News in Donna Balancia, Tourism, Whale Shark Data, Wildlife in Florida and tagged Balance Marketing and PR, Conservation, Donna Balancia, Florida Conservation, Juliane Struve, University of Florida, Whale Sharks, Wildlife.